Ajit Wadekar is considered one of the best number 3 batsmen India has ever produced. The aggressive batsman played 37 Tests for India and amassed 2113 runs at a strike rate of 87.21. He also played 2 ODIs for the Men in Blue. 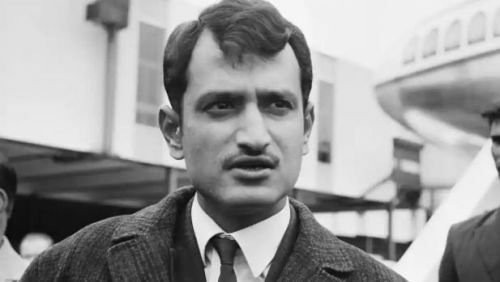 The most illustrious moments of Ajit's career came when he captained the Indian side to historical series wins in England and West Indies in the year 1971. He also scored his solitary century in a match against New Zealand in Wellington in 1968. India clinched that series against the Kiwis as well. Why these series wins were so important was because they were indeed the turning points in India's cricket history. Defeating the Carribean team and The Three Lions at their own home was no small accomplishment. Recently, India has been doing well in overseas matches. A lot of credit has to be given to the mentality of Ajit and what the present generation of players have learned from him. The southpaw will always be remembered as the captain who helped develop the killer instinct in the side, even overseas. The shrewd tactician knew how to play according to the situation and produced some valuable knocks for the team. He was also known to be an excellent slip fielder. Another moment of brilliance was when England were on a tour to India in 1972-73 and the hosts won the series 2-1 under Wadekar's leadership. He truly imbibed team spirit in his players and was a true gentleman of the game. The Bombay-born player also had an exceptional first-class career. He played 237 matches and scored 15380 at an average of 47.03. However, much to the surprise of many, he retired quite prematurely. After the horrific series loss in England in 1974, the talismanic left-handed batsman bid adieu to the game. As a selector, a team manager, and a coach, Wadekar continued to be associated with India's most loved sport even after his retirement. Players such as Krish Srikkanth, Ravi Shastri, Sachin Tendulkar, and Anil Kumble all prospered under his authority as the manager. The Arjuna Award and Padmashri winner sadly passed away on 15 August 2018.